When Nellie Met Rose (or Where Did That Banner Come From?) | THAT'S ENTERTAINMENT! Welcome to another Wildcard Wednesday! I’ve gotten several inquiries wondering from where the banner at the top of my blog came. 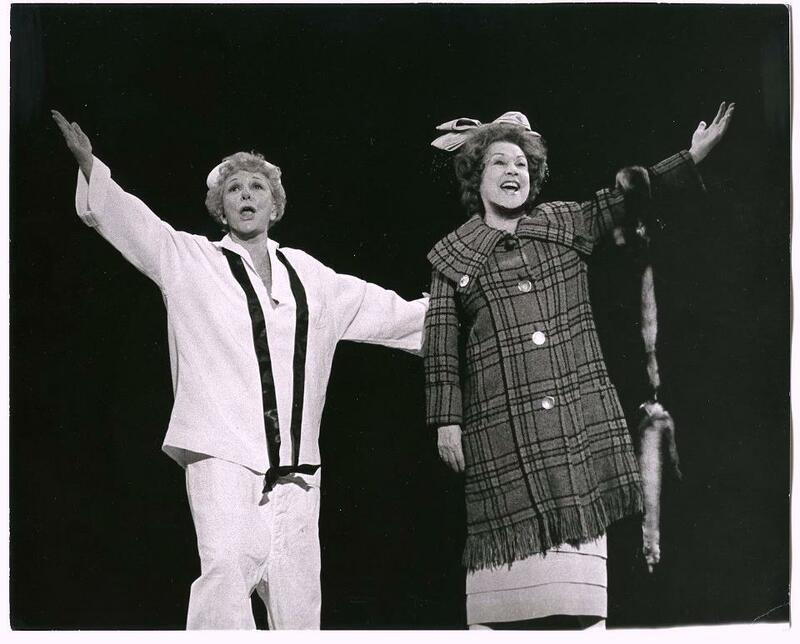 It’s from a one-night-only concert that occurred on May 15, 1977 called Together On Broadway (Mary Martin & Ethel Merman). 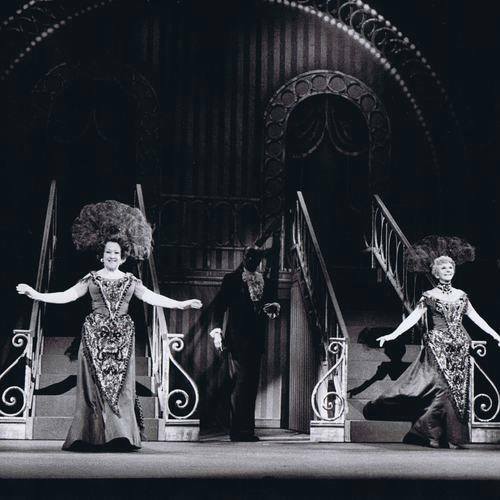 These two Broadway divas had appeared together in The Ford 50th Anniversary Show on June 15, 1953, but this was the first time the two had ever performed on the same Broadway stage. Merman, of course, has been featured on this blog before. Her credits include, but are not limited to: Girl Crazy (1930), Anything Goes (1934), Annie Get Your Gun (1946), and Gypsy (1959). Martin was featured in Monday’s post. Her credits include, but are not limited to: Leave It To Me! (1938), South Pacific (1949), Peter Pan (1955), and The Sound Of Music (1959). For this benefit concert, in addition to recreating the medley they duetted on The Ford Show, each gal got the opportunity to sing songs from her incredible stage career. They also teamed up for a riotous opening in “Send In The Clowns,” and came together for the title song from Hello, Dolly! (which they had both played). The evening was recorded and exclusively released on LP to members of The Friends of the Theatre and Music Collection of the Museum of the City of New York. Come back next Wednesday for a whole new Wildcard post! And remember to tune in tomorrow as our Xena countdown brings us to number seven! 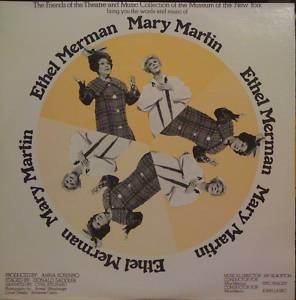 I would like the full recording of the Ethel Merman-Mary Martin concert. Thanks for sharing! Hi, Travis! Thanks for reading and commenting — and subscribing.